For this weekend ride I chose to explore an alternative route towards my new target goal: the lookout point of Kozjak Dam. 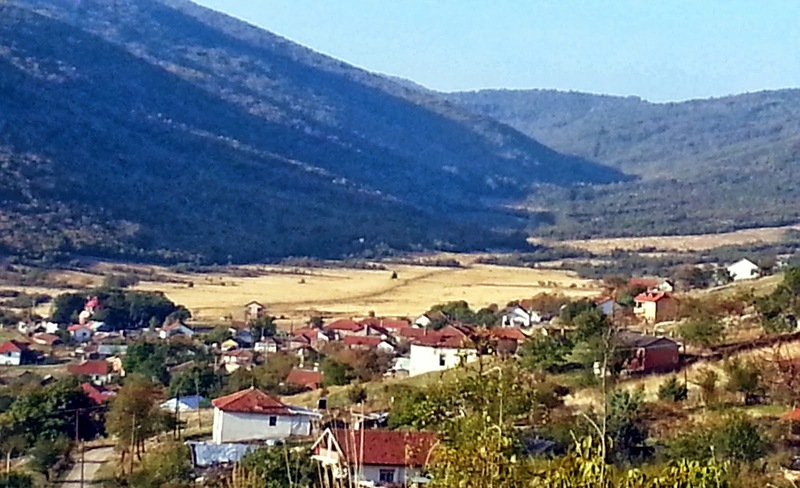 The end point of this ride was Nova Breznica, a village 5 kilometers away from Kozjak Dam. A colleague of mine suggested a more demanding route than my previous one. 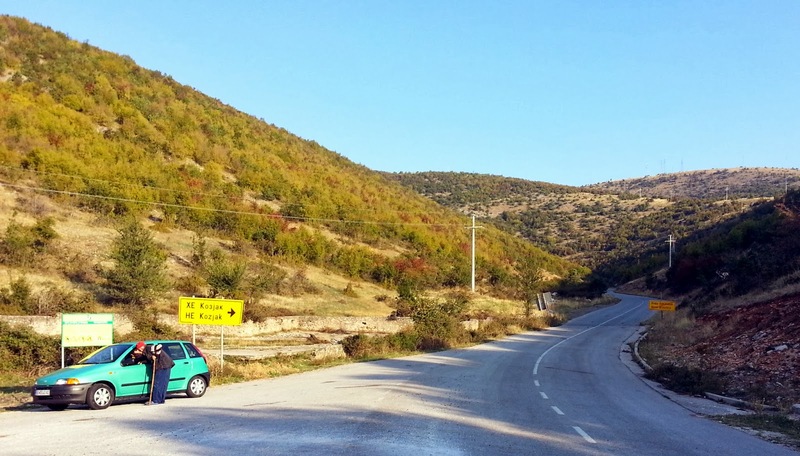 The new route included a lot of climbs and descents riding through the southeast suburbs of Skopje on the hills of Vodno, before reaching the road to Kozjak and pressing on to Nova Breznica. The first order of business on this ride was not getting lost. The route I chose included navigating a lot of small streets and alleys to avoid the steepest climbs. I missed the right street once and needed to backtrack a little. After that, I checked my GPS on 4-5 occasions to verify that i'm on the right track. On that road, I got greeted by the most difficult incline of the entire route, approximately 1 kilometer of steep uphill ride to the intersection towards Jabolce, which pushed my heart rate way past the aerobic range. I reached the intersection towards Jabolce at 07:30, and by that time the sun was up and it was a perfect fresh morning for riding. 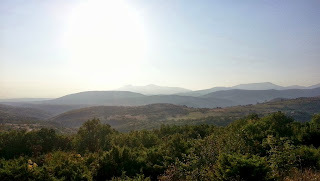 I After the hill, the road leveled off to a gentle uphill which allowed me to accelerate towards Nova Breznica. The road from Jabolce to Nova Breznica is fantastic in the morning: The road is wide and smooth, there is almost no traffic, the air is very fresh and everything is quiet. For a person that lives in the city, the lack of noise is really something else. 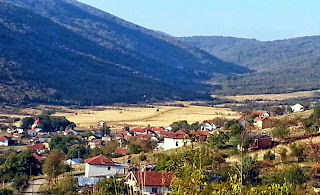 I reached Nova Breznica at 08:10, and stopped at the intersection towards Kozjak Dam to take some photos. I was greeted by the confused looks of several villagers, obviously not used to seeing a cyclist at 8 AM. And than the pain started. First as a numbness in one leg, and as I shifted the effort to the other leg, the numbness in both legs shifted to a constant pain in the lower part of the quadriceps muscles. Also, there was an increasing numbness in my back, which I tried to fix by riding with my back straight for shorter distances. There are a lot of texts about the pain in longer distance cycling and running, but until you feel it for yourself, you don't know what to expect. I tried to ignore the pain as much as I could, and maintain high gears and speed. 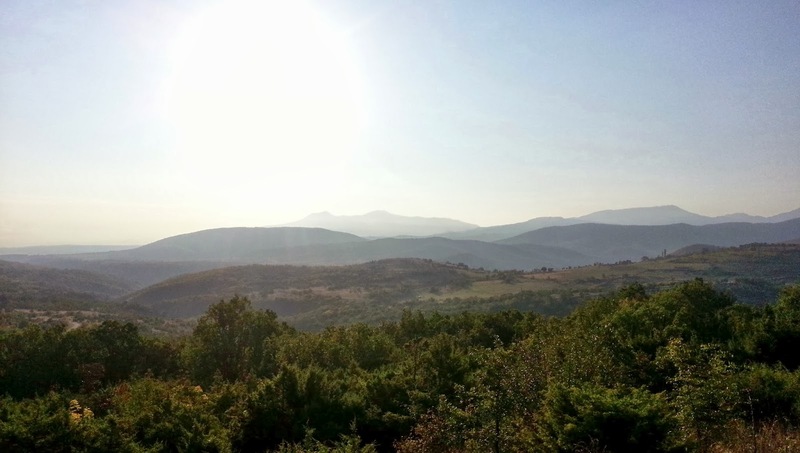 My cadence and speed was gradually decreasing, and by the time I reached Skopje I had to drop to a lower front ring just to maintain good cadence with an acceptable level of pain. I arrived home at 09:20 AM. The pain subsided as soon as I stepped off the bike and stood upright. My total ride was 58.6 kilometers. My next goal is a flat 70 kilometers. What are your long ride experiences? Talk to us in the comments! Hi Bozidar. This does sound like a tough challenge, but cycling is a lot of fun to go with the hard work. I live in Hong Kong, and earlier this year I discovered, after much exploration, an exciting 55km route through parts of the territory I'd never visited before, which I described in Journey to the West (click on "TO BE CONTINUED" to bring up Part 2). Dennis, I skimmed through your account of the 'Journey to the West'. I must say that your ride was much more adventurous, and with a lot of nice scenery. Push on! Beautiful countryside. I don't bike, mostly because I don't enjoy sitting on a tiny hard seat or the strain on my lower back. I wonder, would improving your core strength help offset some of the pain and numbness you experienced?